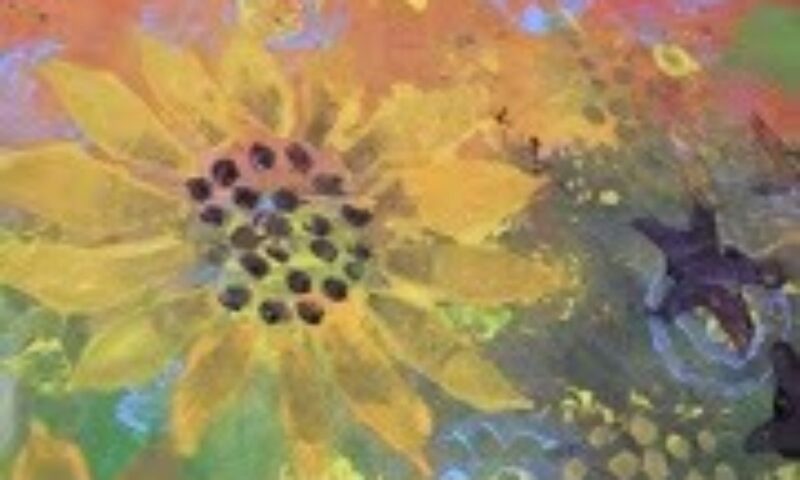 Art forms: Artist, Murals, Illustration, Drawn Together Art Workshops, Small business team building, corporate functions. Summary: Drawn Together Art Services. Professional artist offering Art workshops and tuition for all ages and abilities, including corporate functions and creative team-building for small companies. Experience: Over 20 years as a professional artist. I have taught adults and students at all key stages. Groups worked with: Schools, Youth Groups, Individuals, Persons with special needs, Businesses, Clubs, Care homes. Art forms: Contemporary and Creative Dance. Improvisation and Choreography with cross arts, media and literacy. 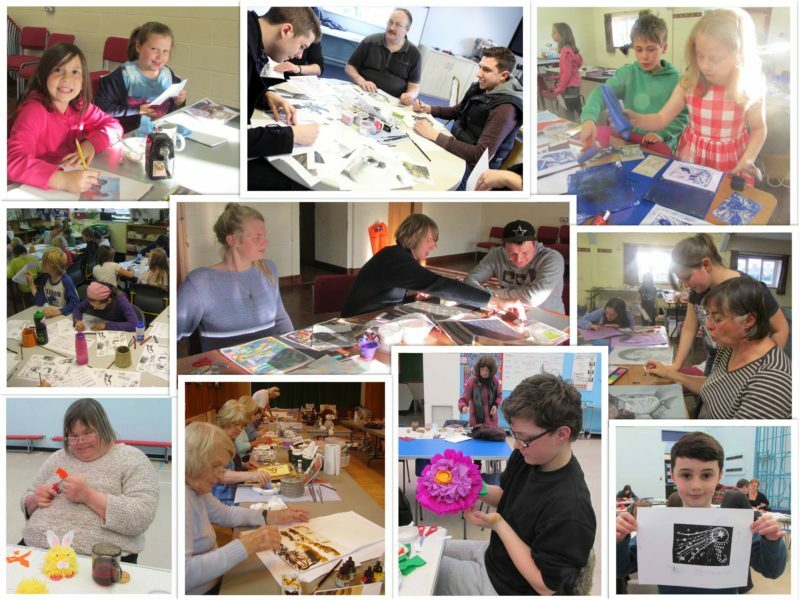 Summary: My arts practice celebrates individuality, expressivity and being in the moment. I ensure that all projects support artistic, social, health and well being needs of the people with whom I work. Therefore, I work collaboratively, reflecting and evaluating practice and engagement. Individual progression and learning are at the fore of my practice, with artistic process and aesthetic outcomes nurtured, sustaining high quality community arts engagement. I can deliver one off workshops in schools, supporting cross arts and cross-curricular learning. Engage youths who are unsure of their placement in their immediate community and wider society. Nurture and inspire youth dance and performance company groups. 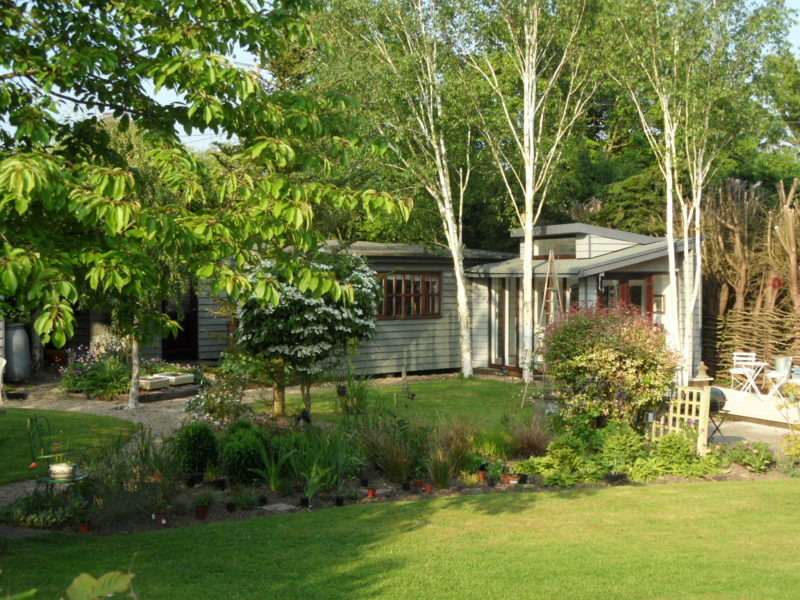 Tailor projects for people with mental health illness. 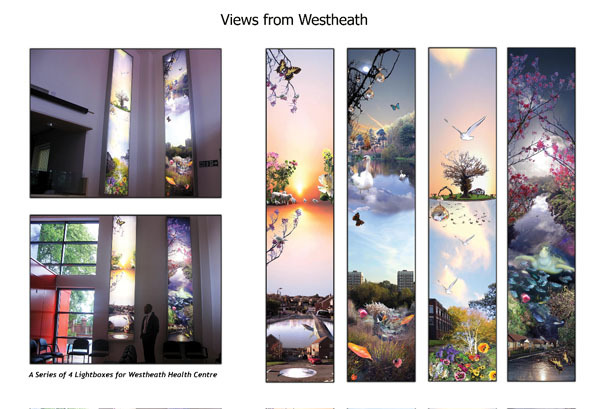 Along with a vast dedication to the relevance and quality of the arts in the health and well being sector. Particularly for children with life limiting illness, adults with dementia and Parkinson’s disease. For me, dance is a form of expression and communication. It is a powerful and liberating tool, which can bring people and communities together. With this belief, dance is used to enrich artistic engagement with all people, from all community groups, abilities and health care needs. Everybody is able to express and feel, and my enjoyment is to facilitate this movement journey. Be it as choreographer, director, mentor, tutor and dancer. Experience: I have worked as a community dance artist for 10 years, with university lecturing interspersed throughout the years. Lecturing at E15 Acting School, Loughton, teaching Choreological Studies and introductory movement. Lecturer in Community Dance Practice and Contemporary Release Technique at UCS. 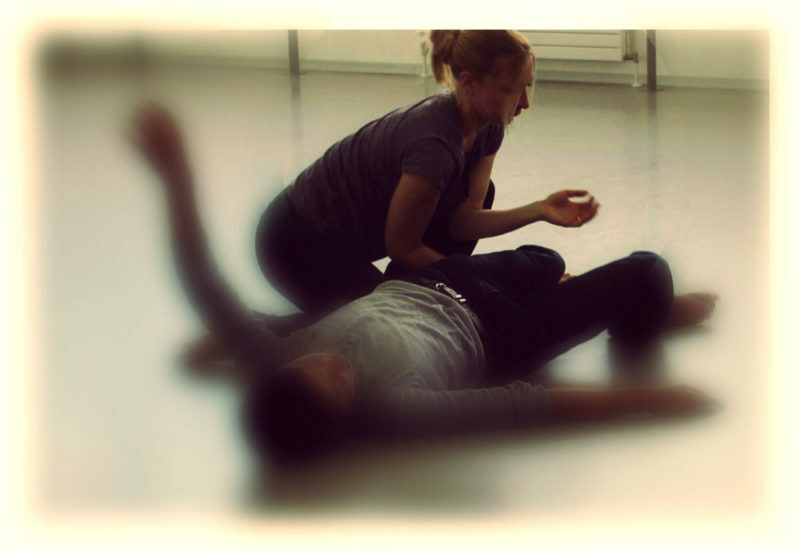 Adult Contemporary Technique tutor at Trinity Laban Conservatoire for Music and Dance. Community Dance Artist at DanceEast and Technique Tutor for the DanceEast’s Centre for Advanced Training. Independent project writer and movement facilitator for Open Arts Mental Health Charity (SEPT) and Lead Artist for Dance Digital Future Network programme and health and well being schools programme. Educator for CPD events in cross-curricular learning in Primary education. Along with professional ways in to dance (for professionals) entering into the health and well being sector, focusing on child oncology. I worked as key dance facilitator at Colchester Hospital and East Anglia’s Children’s Hospice. Mentor for choreographic projects and installations for local artists and project writer for independent arts collaborations. I work as lead artist for The Dance Network Association and Active Essex programme, working on mass-choreography projects. Finally, I am an inaugural member of The Knowing Body Network, driving research and development within the health and well being sector, supporting practice and educational excellence. Qualifications: BA (HONS) Dance Theatre and Post Graduate in Community Dance, Obtained at Trinity Laban Conservatoire of Music and Dance. DanceEast’s: Big Dance, U.Dance 2010-2014. Dance and Photography project for Open Arts Mental Health Charity. Dance Facilitator and mentor to schools, identified through Suffolk County Council. Accelerating literacy through dance. Princes Trust Foundation: Pilot Dance Project in Hospices. Princes Trust Foundation: Cultural engagement with schools situated in wards of deprivation. ACE Library Projects, intergenerational dance projects and youth company programs. Groups worked with: Parent and Toddlers. Primary through to Higher Education in mainstream, SEN and PRU. People with learning disabilities, older people in community settings and residential care home (with varying stages of dementia). People with mental health issues. 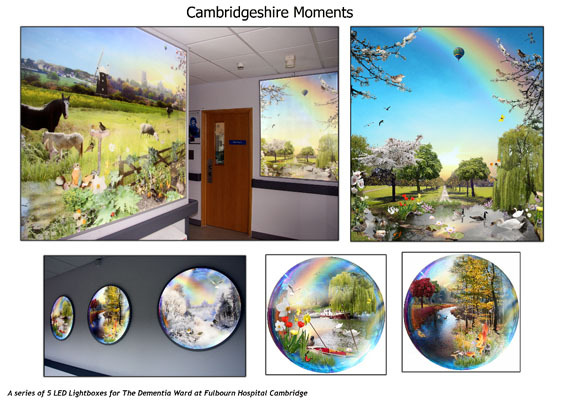 Children’s hospital wards and hospices. Student dancers on CAT programmes, FE and HE. Intergenerational classes. Rehabilitation in clinical settings. Summary: Suffolk PAD (paint & draw) Opening Sept 1st 2013. Is a completely new concept in Art Groups – offering the benefits of an Art School with the convenience and price structure of an Art Group. Members will be able to attend as often as they wish and stay all day if they want to. Tuition will be on hand, exercises and projects can be set for you or you can simply ‘do your own thing’. 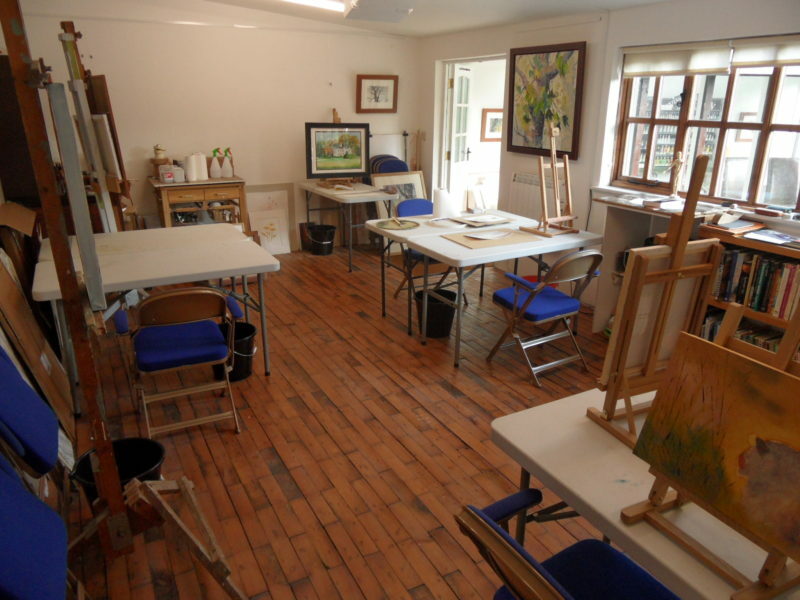 Suitable for beginners and more experienced painters, the grounds here will be available for subject matter and resources will be ‘in house’. Members will also have opportunities to practice techniques, study and learn theory. Annual membership fees will be £50 pp with attendance fee of £20 for each day you attend, we will hold membership only exhibitions with a web page dedicated to showing members work. Artists materials and a picture framing service are also available at discount prices for members. Non members are welcome to attend at a cost of £30 per day. Experience: John Parker is a professional Artist, Fine Art Lecturer and Tutor with over 30 years experience. Projects: John has been instrumental in setting up Art for Hire at NUA. Exhibited extensively n the UK and abroad. Gives demonstrations and talks for Art Groups. Has worked with young offenders and prison inmates. Worked with groups with learning difficulties. Art forms: Fine Art, Painting. Summary: Qualified Art Teacher 11-19, also qualified to work with SEN & students with learning difficulties. Would like to offer art workshops to all. Can be flexible with content. Specialise in Abstract Art, but can provide other disciplines on request. Experience: Exhibiting Artist since 1996, Qualified Teacher since 2006, Work Part Time teaching Art (therapy) and KS3 & 4 to students with Complex needs and behavioural issues in EOTAS. 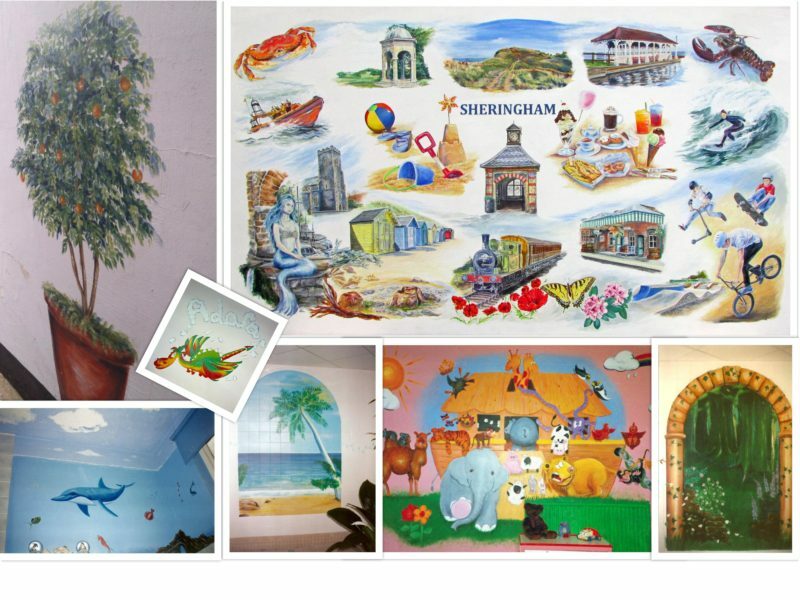 Jan 2005: Suffolk Age Concern; Mural of spring scene and Spring Craft Workshop. Dec 2004: Sixth Form Winter Wonderland Workshop, St Peters Church Community Project. Groups worked with: 11-19 year olds, OAP, SEN, Learning difficulties, College Students.